Scroll down for the #ntchat conversation report for February 22nd, 2019 EST. When it comes to participants, we ranked 96th among 498 conversations. In terms of the number of posts, we ranked 95th out of 498 conversations that took place. This conversation ranked 86th out of 498 in terms of the amplification of ideas & content. 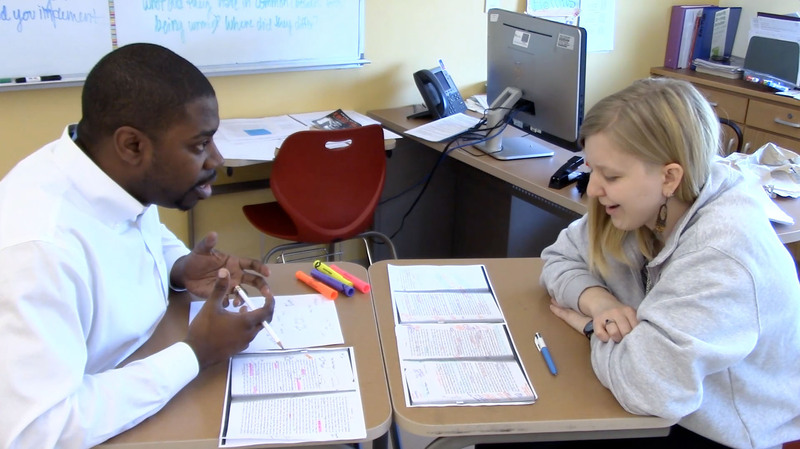 Hannah Hollins works with coach Josh Parker to plan a lesson on analyzing syntax.